In Mutual Fund, Net Asset Value is the price per unit of the fund. This is similar to Price of a share. Investment in mutual funds is one of the better options available to you as an investor with a long term perspective. However, as there is a plethora of mutual fund houses offering innumerable schemes, it often becomes difficult for you to select a suitable scheme meeting your investment goals. 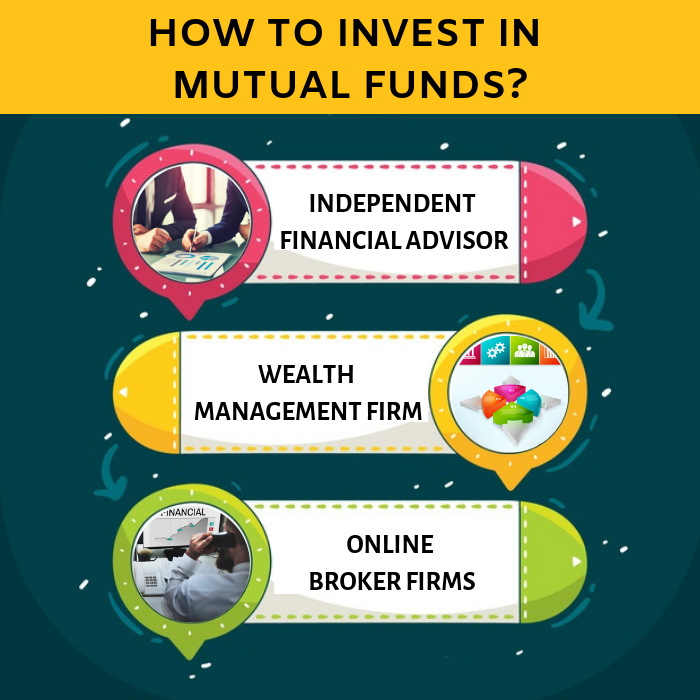 For this, you may not worry as there are at least five channels are available to whom you may approach for selecting the right mutual funds products to meet your investment needs. The options available to you are an independent financial adviser, or a wealth management firm, or your bank, or the online broker/ online fund adviser or directly into a mutual fund either via their online/mobile platform or in physical form. Let us discuss about how to invest in mutual funds through different channels and which channel suits you most. First of all, you need to decide whether you want to invest mutual funds directly or indirectly. How to Invest in Mutual Funds through Direct Plans of Mutual Funds? The new direct plan option enables you to buy your scheme directly from the fund house and you benefit from that purchase by paying a lower cost. The Securities and Exchange Board of India (SEBI) has made it mandatory for all asset management companies (AMCs) to offer separate direct plans for open-end schemes, effective from 1 January 2013. As there is no marketing or distribution expense, the direct plan net asset value (NAV) is higher than the normal plan’s NAV which can be around 0.25-0.50% annually. You can take advantage of the lower cost only when you know which open ended scheme is good for you. There are no expert advices available on which MF product to buy along with no long term financial planning services. If you would like to invest in mutual funds through an intermediary, then you are left with the following 4 choices. How to Invest in Mutual Funds through an Independent Financial Advisor? If you are a busy person and have less time to think about your investment goals and investment products, an Independent Financial Advisor will be the most suitable medium for you. The Independent Financial Advisor will be able to actually advice you on your financial planning with short, medium and long term investment goals and help you find suitable mutual funds products for you against a fee, which will be competitive. The other advantage is that over time you develop trust and with higher comfort levels leading to a lifelong relationship. How to Invest in Mutual Funds through Wealth Management Firm? Wealth Management Firm is normally a corporate entity having offices in most metro and large cities and is professionally competent to advice you the way an Independent Financial Advisor can do, sometimes, even more professionally. However, the flip side is that Wealth Management Firm will be comparatively more expensive and you may lose the personal touch you had with an Independent Financial Advisor. The advisor in Wealth Management Firm is just an employee and you may find advisors keep on changing and you may then not feel very comfortable with such a scenario. How to Invest in Mutual Funds through your Bank? Your bank, as most banks today are in arrangement with few mutual fund houses to sell their products. In banks, as they are mostly selling products of few MF companies, you may not always get a MF product of your choice. Also, banks may not spend time on your financial planning and the person who advices you to buy a suitable product may be driven by his/her own business targets. Besides, the advisor would also be keep changing as in banks they keep on shuffling their staff to avoid developing vested interest. How to Invest in Mutual Funds through online broker firms? This channel is one of the least expensive and time friendly (you may go online on your own sweet time) for you. However, the advice from such firms would be mostly passive and you may not get wholesome financial planning package services. If you are a savvy investor and you know what to buy this is a good channel for you. Among the five channels available for you to invest in mutual funds products, you may select them based on your needs. If you want wholesome financial advisory services, Independent Financial Advisor and Wealth Management Firm are better. In case you want select financial services, banks, online brokerage forms and direct plans of MF houses are better depending on what types of MF investments are you want to make. Hope you have understood the different methods by which you can invest in mutual funds and you are able to decide on how to invest in mutual funds.